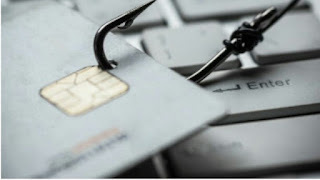 It is never right to spend carelessly on your credit card as it is one of the easiest ways of landing into a debt trap. Once you land into this trap, it becomes quite time consuming and expensive to get out of it. You will have to pay interest rates in the range of 36-48% per annum on the outstanding balance on the best credit cards. Hence, it’s advisable to use your credit card only at the time of emergency and overspending on the card should be avoided. You make minimum payments: It’s important to pay your credit card bills on time and in full every month. Paying just the minimum amount will attract interest on the average daily balance. Also, if you just keep on paying the minimum amount, it could take years to pay the whole outstanding amount. Missing regular payments: Not paying your credit card bills on time attracts penalty and also affects your credit score negatively. Missing regular payments means you are not left with enough money to clear the dues and you are surely using the card more than you should. Not using credit cards at all: Credit cards not only help to build your credit score but also help to earn reward points on every purchase. Disciplined swiping of credit card can help you earn many benefits and privileges. Thus, if you have a credit card and you are not using it at all, it may indicate that you are not realising the real benefits of your card. Taking regular cash advances: A credit card comes with a cash advance facility. However, this facility should be used only in the time of emergencies. If you have been making use of cash advance facility on a frequent basis, it is an indicator that you might be spending more than your purchasing power. Further, cash advances do not come with a grace period. You need to pay interest on it as soon as you take it. Moreover, in most credit cards, you also pay a hefty transaction fee which could be around 2.5% of the total amount or even higher. Credit utilization rate incorrect: The credit utilisation rate is the ratio of your outstanding balance to the maximum limit of your credit card. Keep your credit cards spending to 30% of your card’s overall limit. If your spending surpasses this limit, it will lower your credit score. Anything more than that could indicate unhealthy use of your credit card. Frequent balance transfer: One of the best ways to reduce your debt burden is to use the balance transfer facility. It means you could transfer your outstanding balance to another card with a lower interest rate. But please note that balance transfer is not a permanent solution to your problems. It is just a way to delay the problems. However, overusing this facility can inevitably result in grave consequences. Hence, if you keep all the above-mentioned things in mind, you can deal with all your credit card problems. Just remember to pay your dues on time and avoid overspending on your credit card.